Yes I’m bored, unable to detect because of the frozen ground. I have been bench testing at the kitchen table. Playing with the classic ID, and the III SL. I have a pile of pull tabs that I keep for testing. Also to keep track of how many I pull from one location until gold or a buffalo appears. I decided to scan every tb on my ID to see where they registered at. The small pile in the picture all hit at 5 cents, but with a small target bounce. The larger top pile all nailed pretty solid on the pull tab block to the right of nickels. All the nickels I tested were a solid ID with the ghost flash. My question is how consistent should I expect the pulltabs to be in the ground on the ID? Now keep in mind, I want to dig them all up. I’m not trying to ignore them. Just trying to get a feel for the machine. It’s going to be a long winter. One of the plights of the urban coinshooter or jewelry hunter is dealing with the large amounts of conductive trash in public areas like parks. Can slaw and Pull tabs / Square tabs are two of the most common. My first higher end detector, a Teknetics Mark 1, was one of the early attempts by manufactures to help detectorists find more good stuff (gold rings) while leaving behind the bad stuff (pull tabs) Another is the Tesoro Golden Sabre, a popular detector back in the 80's. This was typically done 1 of 2 ways. One would set your main discriminator low, like to knock out nails, and then use a knob to adjust a rejection window that would knock out a given area that you'd set; like pull tabs. Guys would test pull tabs found in their areas to find the optimal setting for this "notch reject" setting to minimize the number of bad targets. Or is could be set up vice versa. You would set your main discrimination higher, like just below where Indian Head Cents come in and then adjust the 'window' so that you'd accept nickels, or the higher foil area where many women's rings show up. This was called "Notch Accept". Some guys would test lots of gold rings and try to find a "window" where the majority of them came in. Then they would set their discrimination up high to knock out everything and than set their Notch Accept window to that Magic Spot where their testing showed gold rings should be and off they would go in hopes of finding gold rings. 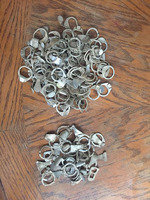 The point of this method was to find rings and not to recover all possible good targets. 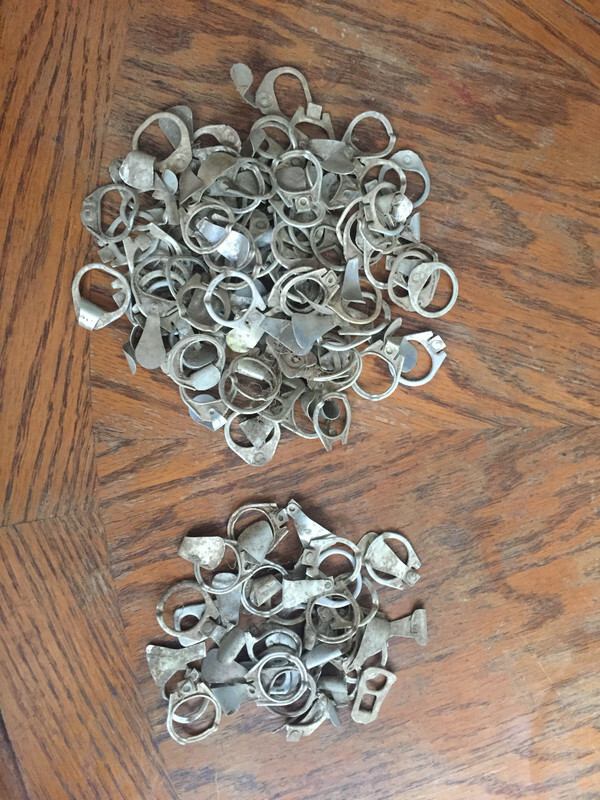 If you search the old Minelab Sovereign site on Findmall, you'll come across charts that detectorists have made up testing all sorts of rings and things in hopes of IMPROVING their ODDS of finding gold rings and digging less trash. This same type of NOTCH thinking could be carried over to any target ID machine, just watch the meter and determine if the target was in a bad area or a good one. If it was in a bad one, keep walking. A good one, stop and dig. Even a detector with just a discrimination setting can accomplish this, just roll that discrimination value up and determine where the target drops out and you have a 'probable' ID for it. Now you inferred that you were digging ALL of the pull tabs. This is very ambitious. This is another method some will use and on occasion I will employ it in areas that I think are very promising for holding good items that are being masked by trash. There is a saying among detectorists, that you don't know what it is until you dig it. This is absolutely true and a reason that many newer detectorists often make some great finds that have been overlooked and left behind by others who thought a target was likely to be junk and left behind something valuable instead. Do be careful when employing the DIG IT ALL method to your selected site. Some will get discouraged at the number of bad targets they've dug with nothing to show for it and wear out and give up. Long periods of no success can wear on confidence. As long as you can approach your 'experiment' with enthusiasm, and find satisfaction from digging tabs, go for it. If you're hunting a 'good area' with possibilities of items of interest for you, you should find keepers in among the trash. I like to practice 'calling my target' before I dig, using available clues like my target ID reading, the estimated depth, the location I'm hunting, how the target responds in pinpoint mode, and the nuances of the audio in my headset. It is fun when you have two hunting the same site to compare and both make a call on a target and see how the two of you do. Best of luck with your experiment and keeping busy over the Winter.